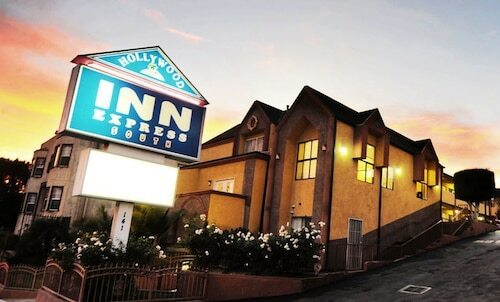 Located in LAX Area, this motel is 1.4 mi (2.3 km) from Hollywood Park Casino and 2.1 mi (3.5 km) from Los Angeles Forum. Loyola Marymount University and Dockweiler State Beach are also within 6 mi (10 km). 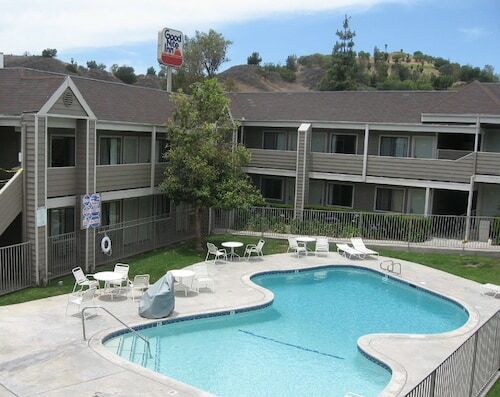 Centrally located in urban Los Angeles, this hotel is 3 miles from LAX Airport. Hollywood Park Casino is less than a half-mile away, and shopping centers are within 4 miles. 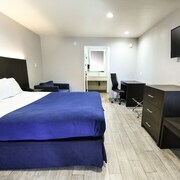 Located in the Los Angeles suburb of Calabasas off Hwy 101, this economy hotel is 9 miles from Pepperdine University and Malibu beaches. 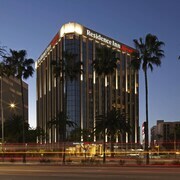 Located in LAX Area, this hotel is 1.1 mi (1.7 km) from Hollywood Park Casino and 1.8 mi (2.9 km) from Los Angeles Forum. Venice Beach and La Brea Tar Pits are also within 9 mi (15 km). From the famous white beaches running along the Pacific to the celebrity-packed Hollywood Hills, Los Angeles, California, should definitely be on your holiday bucket list. This sprawling city has delicious food joints, a lively beach boardwalk and oh yeah, more museums and galleries than you could ever hope to visit in one trip. Ready for the adventure of a lifetime? So are we. 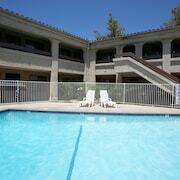 Book Los Angeles accommodation today and jet off for SoCal tomorrow. “The City of Angels”. “La-La Land”. “Tinseltown”. “The Entertainment Capital of the World”. This place has amassed almost as many nicknames as it has attractions, so plan out your itinerary accordingly. There’s no better place to start things off than at the Griffith Observatory, located high above the city in the Los Feliz neighbourhood. Hike to the top of Mount Hollywood for sweeping views of downtown, the Pacific Ocean and everything else that the Los Angeles Basin has to offer. There are even star parties once a month where guests can view the sun, moon, distant planets and other galactic objects through a multitude of telescopes. 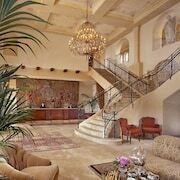 For activities with other stars, look into accommodation near Universal Studios. The famed theme park offers everyday folk like us the chance to hang out on the sets of some of our favourite flicks. And don’t get us started on the Harry Potter park! What’s a Los Angeles holiday without a tasty Mexican meal? Blasphemy, that’s what! A pork torta from the Torta Company in downtown will make you forget all about meat pies and sausage rolls (well, almost). But don’t think the choice is Mexican food or nothing. Resting just south of downtown is Koreatown, where you’ll find some seriously good eats. This is where you come for pork belly cooked over an open flame. If you want the best kimchi outside of Seoul, look no further than Olympic Boulevard. And make sure you try some seolleongtang, a milky-white soup made from beef bones. Trust us, it’s delicious! Unless you’re flying on Brangelina’s private Learjet, most flights to Los Angeles will land at Los Angeles International Airport (LAX). To explore the city and surrounding areas, there’s an extensive system of bus, subway and rail lines servicing the entire county. One of Wotif’s car hire deals will get you from Los Angeles hotels to other parts of the city at your own pace, but make sure you time your driving excursions carefully. LA’s rush hour is infamous for a reason! There’s always something to do in LA, but let’s be blunt: A good holiday is all about the grub. Some of the best food in Los Angeles comes off food trucks, so beat feet for the Beach Eats Weekly Food Truck Event and get eating. Gourmet food trucks congregate at Marina Beach (aka Mother’s Beach) every Thursday through the end of September, which means the great food comes with the perfect selfie scenery. Can’t get enough of the sand? 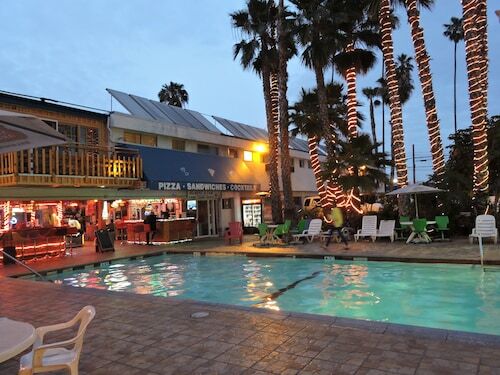 Plenty of places to stay in Los Angeles are right on the water. 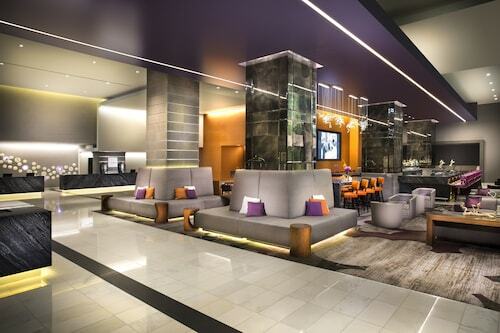 Snag yourself a room and get ready to grin. If you’re visiting between September 2nd and 25th, be a proper Los Angeleno and go to the LA County Fair. You can get a little bit of everything at the fair, from headlining musical acts to riding on the Ferris wheel with your beloved. Oh, and who can forget spinning around on that alien saucer ride until your stomach feels like it’s about to lose its grip on all that deep-fried food you just consumed? Really, this isn’t optional. If losing your lunch isn’t your thing, just hang out with some of the cute critters in the animal halls. Some of them are downright cuddly. Need some music to go with your endless snacking? The Sundown Music Fest, held in nearby Huntington Beach, runs on September 17th and 18th and should satiate your need for more awesomeness. More rides, more food, and did we mention it’s at the beach? Seriously, mate, they’ve got crazy DJs and heaps of rides and art installations for you to explore in between getting your groove on. Time to slather on the sun cream and party like you’ve never partied before. This is Southern California, where the sun always shines, temperatures hover around 26 degrees throughout the year and it basically refuses to rain. In short, you can be outside pretty much all the time. 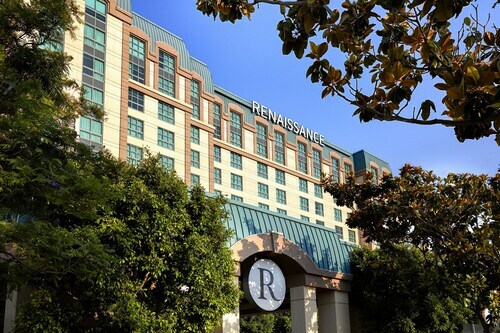 The months between June and August are especially popular, with sun worshippers looking to hit the beaches, which can make competition for hotels in Los Angeles a bit stiff. Good thing Wotif has your back for this one! You can take your pick of local beaches (Malibu, Ventura, Venice, Santa Monica…the list goes on), or you can go a bit inland and enjoy some outdoor adventure away from the shoreline. If you feel like watching the local baseball club attempt to salvage their honour, take in a game at Dodger Stadium. If life just isn’t the same without a lengthy hike and the possibility of outdoor yoga, then Runyon Canyon Park has your name all over it. Yes, that is the city stretched out nicely before you. Here’s a secret: no trip to Los Angeles is complete without a detour to the House of Mouse. The rides, the movies, the fireworks show…we’re excited just thinking about it. We’ve got Disneyland Resort Tickets ® on offer—scoop them up and spend some quality time with all your favourite characters! If you only have one day in Los Angeles, you can’t go wrong by sticking around Hollywood. Get some snaps of your favourite celebrity’s star on the Walk of Fame. While you’re at it, no trip to SoCal is really a trip without a cheesy picture of you grinning in front of the Hollywood sign. 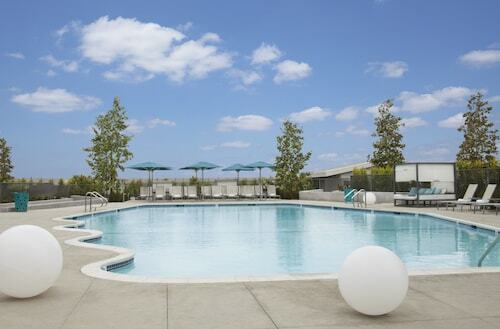 You’ll have plenty of selfies to admire later on at your accommodation in Los Angeles. Complete your day of greatness at the Santa Monica Pier. Become a master at the trapeze, squeeze in some dancing or just watch the sun go down from the edge of the pier. If you get hungry—and after a day of exploring the area, we bet you will—head for the nearby Third Street Promenade and fill your belly with all the best food money can buy. 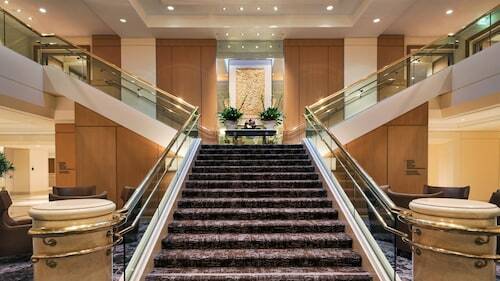 Oh, you’ll find heaps of shopping there, too, just in case you want to spend even more of the money you’re about to save when you book with us. Ready to say “Hooray for Hollywood”? Wotif can get you to LA on any kind of budget. 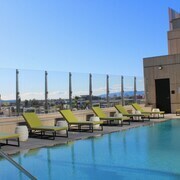 Mix and match accommodation and airfares and jaunt off into La-La Land—your holiday self is ready for its close-up! 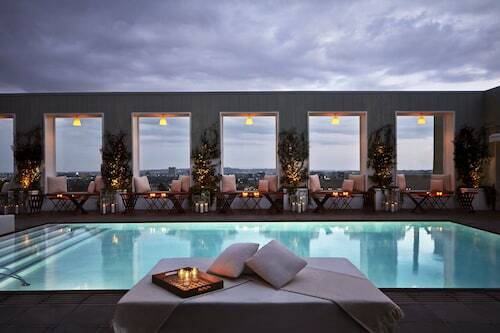 How Much is a Hotel Room in Los Angeles? 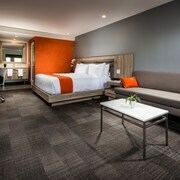 Hotels in Los Angeles start at NZ$138 per night. Prices and availability subject to change. Additional terms may apply. Fantastic location. Very clean. Bed and pillows were so comfortable. Would highly recommend. 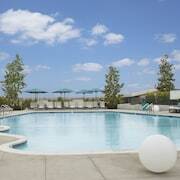 Amazing find so close to Downtown LA, upgraded beautifully will stay again on next trip! Four of us checked in, quick and pleasant. Only 2 towels for 4 guests is annoying. I know I can call for more but I shouldn’t have to.